The troubled Monju prototype fast-breeder reactor made headlines again when the Nuclear Regulation Authority said it apparently plans to ensure the facility remains idled after announcing that the Japan Atomic Energy Agency failed to properly inspect some 10,000 components, including critical ones. Where is Monju located and when was it built? Monju is on the Sea of Japan coast in Tsuruga, Fukui Prefecture. Preparatory construction began in January 1983, and the site was completed in April 1991. The reactor reached initial criticality for the first time in April 1994, but the event was short-lived. Monju was to serve as a research facility on so-called dream technology that was supposed to resolve Japan’s shortage of clean energy sources. The plan was for the fast-breeder reactor to use spent nuclear fuel from other atomic plants in the form of a plutonium-uranium mixed oxide (MOX) fuel. MOX, however, which is used in nuclear weapons, is highly dangerous. How has Monju fared since the 1994 criticality test? Accidents, a coverup attempt and other woes and malfunctions have keet the reactor effectively idled since its initial tryout. A sodium coolant leak and fire in 1995 became a huge scandal after it was revealed that the operator tried to cover up details of the incident from the public. In 1996, an official appointed to the internal investigation of the case committed suicide. The official’s next of kin subsequently sued the operator for damages, claiming he killed himself after being pressured to lie to the media. The Supreme Court last year rejected the suit and ruled in JAEA’s favor. Fukui residents meanwhile sued the state, claiming the reactor is unsafe. The Supreme Court in 2005 overruled a lower court ruling and dismissed the suit. What happened after the sodium leak? Monju was suspended for 14 years and five months after the leak, until May 2010. The JAEA website states that Monju restarted its System Start-up Test on May 6, 2010, hoping to accomplish the program’s original mission of demonstrating the facility’s reliability and establishing sodium handling technology. It failed to do either. On Aug. 26 that year, a 3-ton fuel-loading device fell into the reactor vessel and caused operations to halt again. Recovery of the device proved time-consuming and was only completed in June 2011, 10 months after the incident and shortly into the biggest nuclear plant calamity to hit the world since Chernobyl, namely the triple-meltdown crisis at Tokyo Electric Power Co.’s Fukushima No. 1 atomic plant. It cost more than ¥1.7 billion to repair the Monju damage. A JAEA official in charge of the recovery project committed suicide before the fuel-loading device was retrieved. What other troubles stand in Monju’s way? 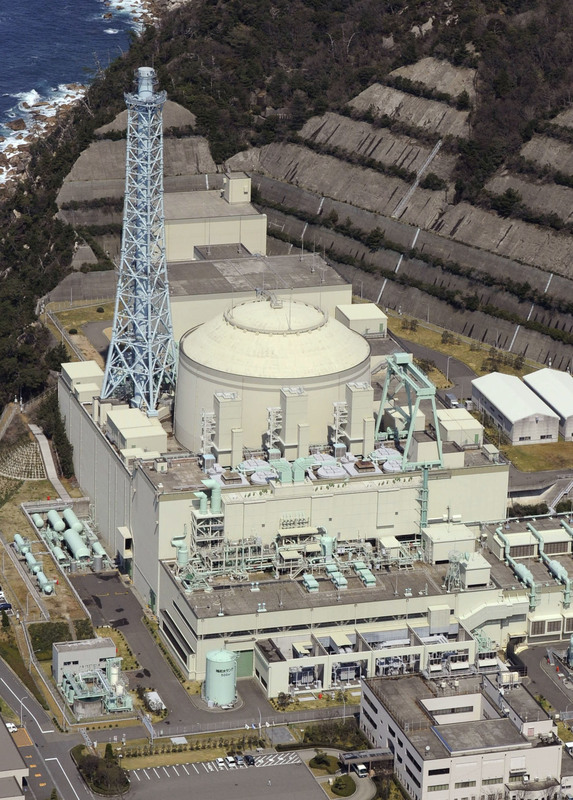 Like most nuclear plants in Japan, Monju is believed to be sitting on a fault, although JAEA in April sent a report to the NRA claiming the fault is inactive. 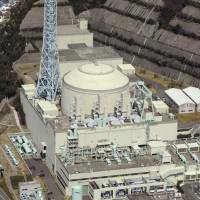 The JAEA has also said the reactor can withstand the strongest temblor that could possibly hit the site, as well as tsunami of up to 21 meters. The NRA is expected to visit Fukui and survey the fault soon. According to JAEA, Monju derives from the Japanese translation of bodhisattva Manjusri, which is associated with perfect enlightenment and wisdom. Buddhist temples, including Eiheiji in Fukui Prefecture, have protested the use of the holy name for such a tarnished project. Reports say Monju costs ¥10 billion to ¥20 billion annually just to maintain even while idled. The government originally intended to start commercial use of the reactor by 2050, but the latest development will likely put the nuclear fuel-recycling goal on indefinite hold. Despite widespread public opposition to nuclear power since 2011 and calls by pundits that Monju be scrapped, the ruling Liberal Democratic Party appears reluctant to do this. How is JAEA reacting to the latest scandal? In a Chunichi Shimbun interview published on May 1, JAEA chief Hiroshi Hiroi acknowledged the agency failed to properly check some 10,000 components. “Due to a lack of communication between the managers and onsite workers, our revised rules weren’t completely followed, and we didn’t share a common understanding of when to start the checks,” he claimed. JAEA seeks to correct the problem by adding 13 more employees to the repair unit, creating better information management and educating its workers. “We will make a safe, rational maintenance program in about a year,” he told the newspaper.